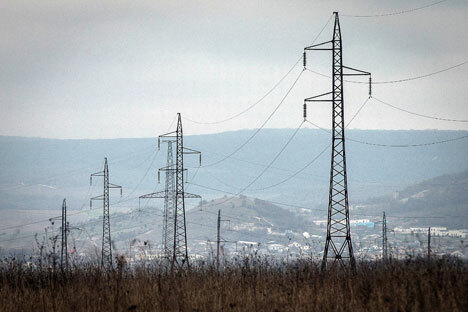 Russia to supply power to LPR after Ukraine cuts electricity. The Lugansk People’s Republic (LNR), a breakaway territory of Ukraine, has reportedly managed to secure an electricity supply from Russia after being cut off from Ukraine’s gas distribution system. “We have various sources. We import electricity from the DNR (Donetsk People’s Republic) and Russia, among other places,” RBK quotes Vladislav Dainego, a plenipotentiary LNR representative. Ukraine halted electricity supplies to some districts of the LNR on the eve of April 25, citing the region’s failure to pay bills, reports RBK. In the absence of a reliable supply from Kiev, the LNR may look for alternative sources, and an obvious one is Russia. “We’re considering the possibility of constructing an energy bridge from Russia, analogous to the one used in Crimea,” said a source in the Council of Ministers of the self-proclaimed republic, reports RBK.